The coolest spring crafts for kids that cost next to nothing or are completely free kids crafts. 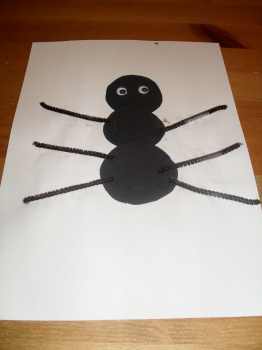 Take a quick look over these toddler crafts below and find one to get you started. When your child gets involved with any toddler craft activities they should be supervised at all times. In many craft activities for kids there are many small parts. If your toddler is left unsupervised they may put these in thier mouths. Which could lead to swallowing and possibly choking. So better to be safe and only organize these spring crafts for kids when you can watch over them. 1.For this spring crafts for kids you need to do a little prep work before your toddler can get started with this craft activity. So you will need some different colored paper, green brown, yellow, red and any other colors you want to work with. 2.Now you need to cut out some shapes for your little one to work with. I have cut some stalk and leaf shapes out of the green paper. 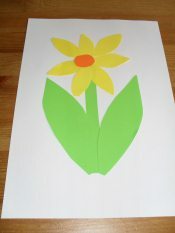 Then I have cut out some flower petal shapes out of the yellow and red paper. With the brown paper I have cut some pieces that will make up a tree trunk and some braches. With the green paper i have cut out a lot of small pieces that will makethe leaves on the tree. 3. Now give your little one a blank sheet of white paper and a glue stick. Now have your piles of cut out shapes nicely to hand. Start by talking to your toddler about what your doing. Show them how to get started and then let them cary on themselves. Once they have finished with sticking the shapes they can use a crayon to draw the sun and maybe even some people. Your toddler will just love this and the other spring crafts for kids. 4.You can also introduce other things that can be glued to the picture such as cotton wool buds. Maybe even other pictures that have been cut out of magazines or catalogues. 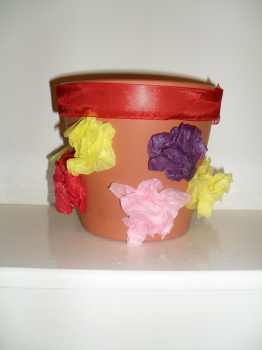 So that's it, give it a go and let your toddler create a spring craft master piece. You will need to do a little prep work to get ready for this toddler craft activity. You will need a white sheet of office size paper to start with. Then you will need some black paper to cut out various size circles. Then cut up some colored pipe cleaners to use as legs. These will be used to make the insect bodies. Then cut out some very small circles from white paper to make the insect eyes. 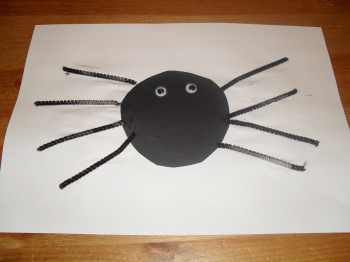 Finally use a piece of yellow paper to cut out some thin strips (this is if your toddler is making a bee) and now put all your cut out paper into piles close to hand ready to create your insect craft masterpiece. 1. Start with a white piece of paper as your base. now take the various size black circles and arrange into insect body shapes. Take a look at the pictures here to get an idea how I have done it. 2. Now get your toddler to stick then down onto the white paper. Then get them to stick on some eyes (we use wobbly eyes and stick on) and then get your toddler to stick on the legs. 3. When it comes to creating your bumble bee you will now use the yellow strips to make the stripes on the body. you can create your own insects using anything else you might have to hand. The important thing is to just have some fun. For your toddler it's not the end result that matters but the doing they get the most from. 1. Old plant pot on old newspaper to protect your kitchen table. A supply of poster paints and anything else you want to stick on (toddlers just love to stick). This pot was simply covered in crushed balls of tissue paper. That were then stuck on using a child friendly glue stick. 2. Now the interesting bit get your toddler to fill the pot with compost. then pock a hole with thier fingers and push in a flower bulb (which you have chosen ready). 3. Now water in the bulb and put up on a sunny window sill and wait. make it a game to check on progress every day and see if it needs a little more water. 1. I would use a stiff piece of cardboard as your base (I cut out one side of a breakfast cereal packet). Also get some cotton wool to use for baby lambs bodies and to create some baby chicks. 2. Then cut out pictures from old magazines and comics. 3. Then give them some stick glue and get them to stick the pictures on to the cardboard base. 4. Tell your little one to stick lots of pictures so you can't see the base. 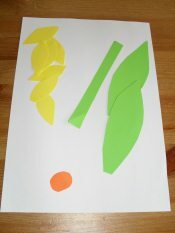 Make sure this toddler learning activity has a spring crafts for kids theme for your collage. So cut out pictures related to ideas of spring (baby lambs and chicks, flowers and sunshine) so they learn what spring means. Important note: All toddlers learn from doing with a little guidance. So let your little one be creative and take the lead. Let them cut out their own things even if they struggle. Let them draw their own interpretation of what they think the picture should look like. They learn so much from trying new things and experimenting. What spring craft activities do you love doing with your little one ? So why not pick up some great new ideas here and share your animal craft ideas here. I know other parents will thank you for it. Tell us what you and your little one like about this animal craft activity the most. Spring Crafts for Kids Ideas! Your spring craft idea will appear on a Web page exactly the way you enter it here. You can wrap a word in square brackets to make it appear bold. For example [my spring craft idea] would show as my spring craft idea on the Web page containing your story.